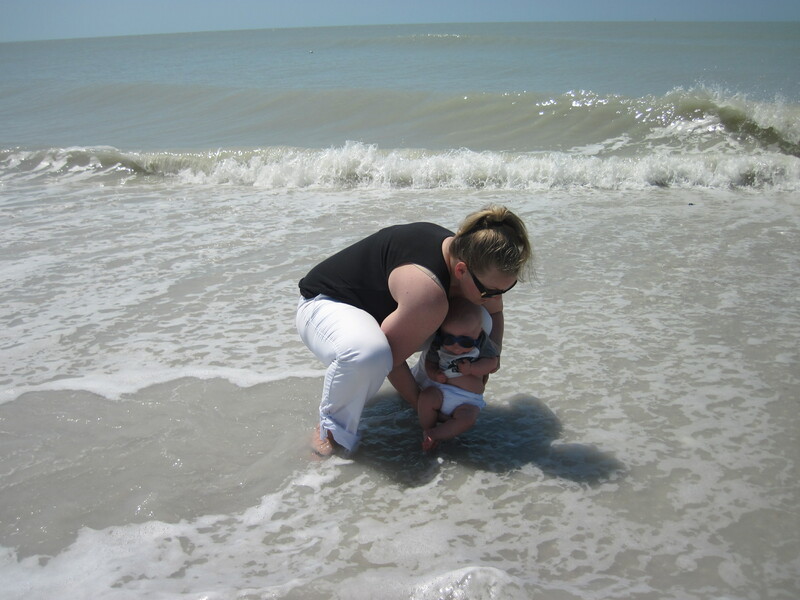 After Kristin’s birthday, we headed to Florida so Kasen could meet his (FOUR!) 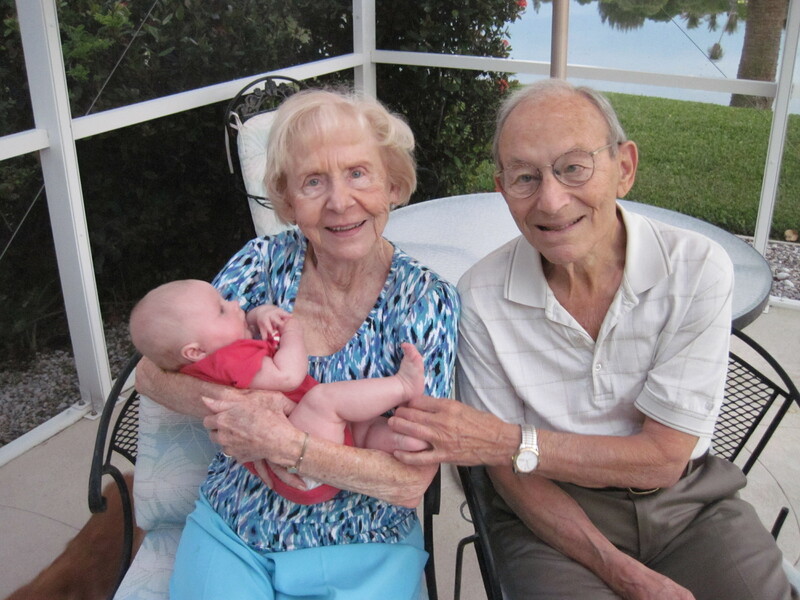 great-grandparents. 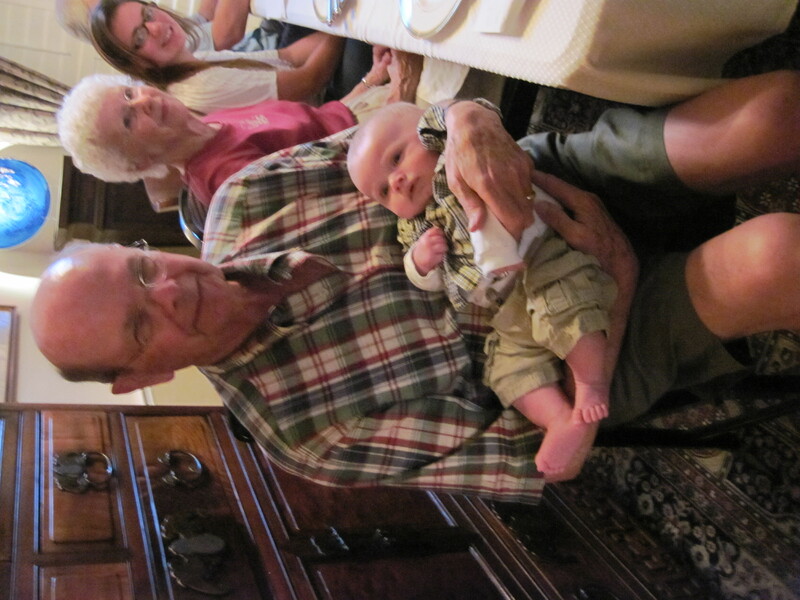 He’s a super lucky kid to have so many great-grandparents and they were thrilled to meet him. Kristin flew down to Sanibel Island on Monday with Kasen and Gigi. Fortunately, all of their many checked bags were free, thanks to Soiuthwest’s generous baggage policies (we checked two suitcases and a car seat and gate checked the stroller!). Security was certainly an interesting experience since she had to carry Gigi and Kasen at the same time. 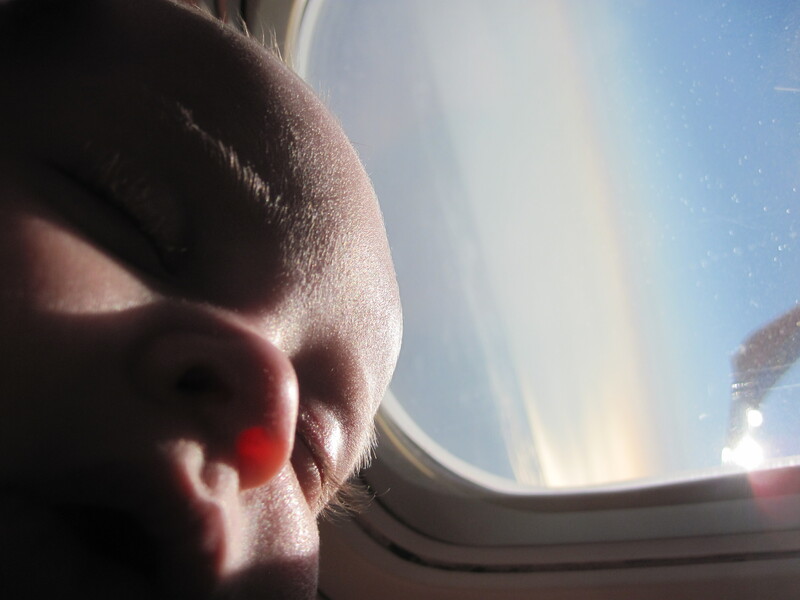 Kasen did very well for his first flight (in his usual manner, he pretty much slept through it). 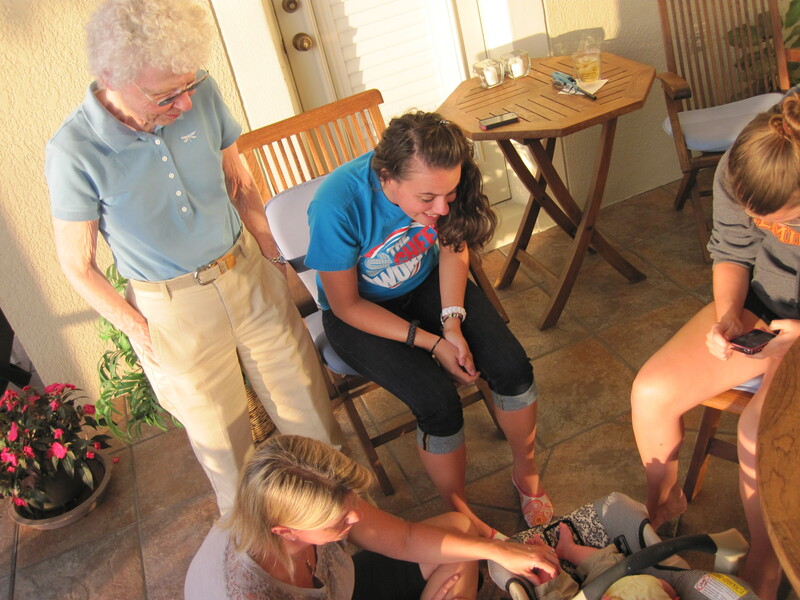 While we were in Florida, Kasen had a great time meeting new people and enjoying new experiences. 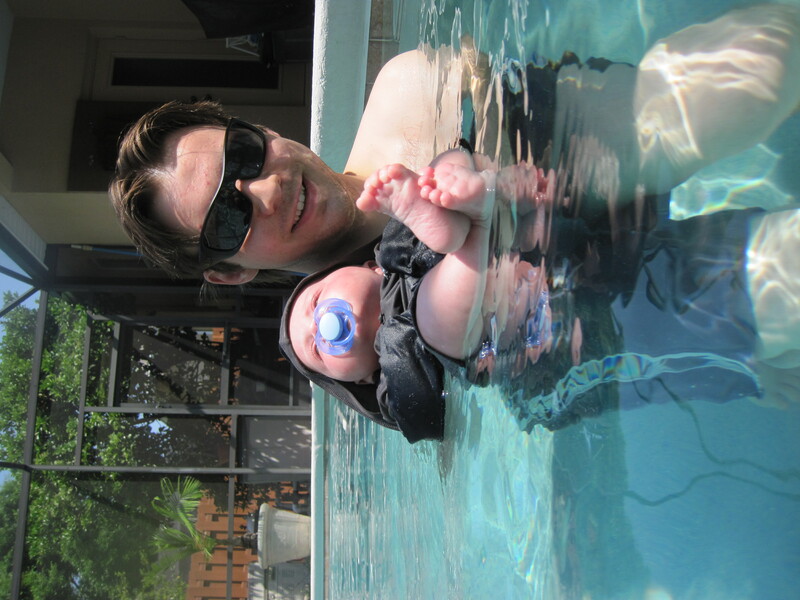 He swam in the pool and the ocean and ventured out to a few local restaurants! 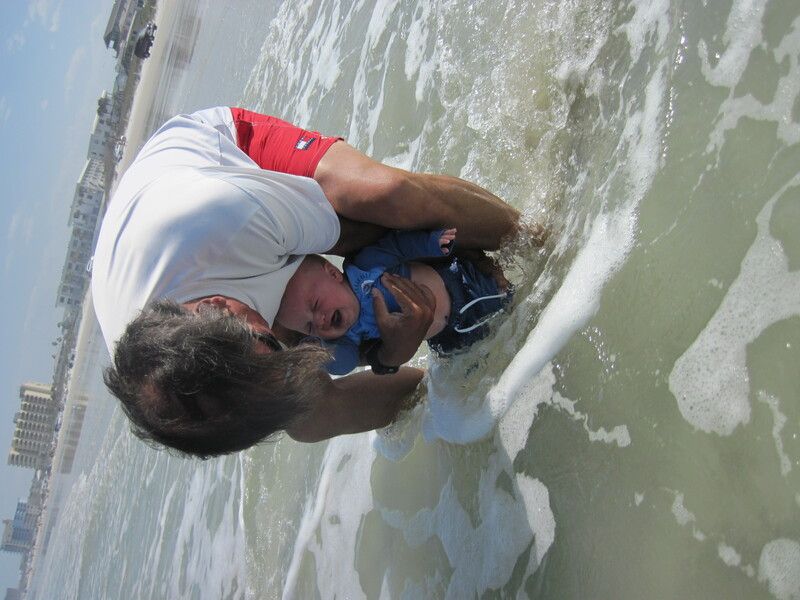 He seemed to enjoy swimming, although he slept during his beach trip. That awesome pool toy isn’t the only gadget we brought with. 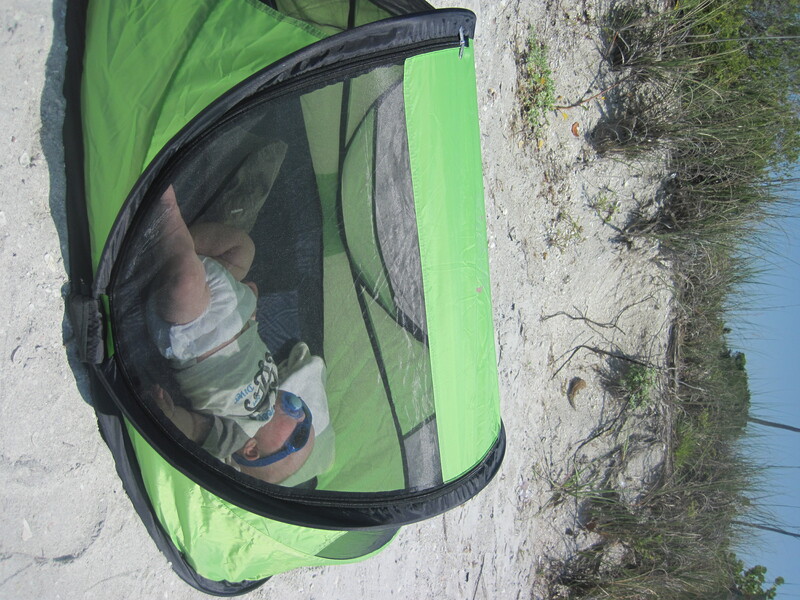 One of our favorites was the PeaPod – a portable, sun-protecting playpen. Naturally, Kasen slept in that too. After many exciting adventures around Sanibel, it was time to leave. Kasen bid farewell to Grammie and Grampa while Kristin packed up the extraordinary amount of stuff they brought. So, we hopped back on a plane (this time with the much appreciated help of Kristin’s mom who flew out the same day) and met up with Krister in Orlando. 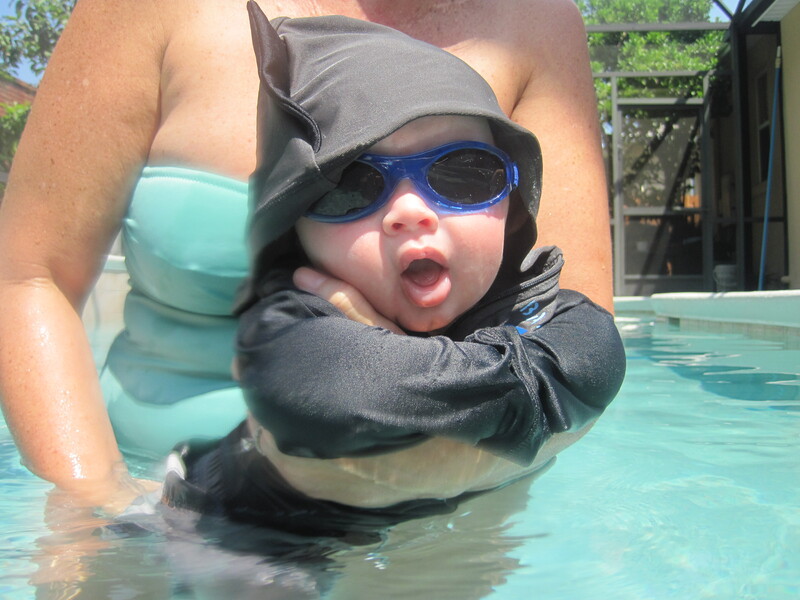 Kristin’s dad and his parents live in the Orlando suburbs and couldn’t wait to meet Kasen! The next day we spent some more time swimming. 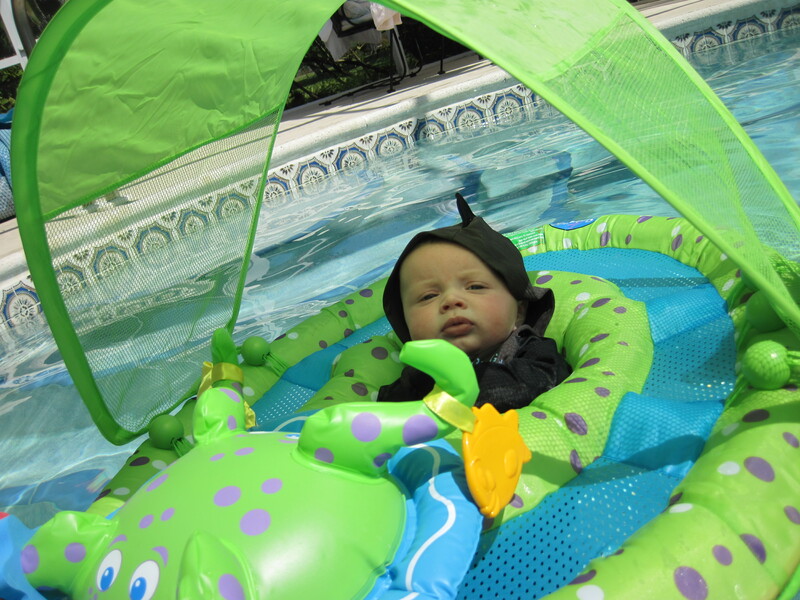 This time we went in a pool at Kristin’s Aunt & Uncle’s house, which Kasen preferred infinitely over the ocean. We had a great time just hanging out at their house and devouring sandwiches. On Saturday night, Kristin’s dad & step-mom through a birthday party for Kristin. Kristin got lots of presents and Kasen got lots of attention! After a great week, it was time to head back to Philly. The three of us hopped on a plane and flew back to Philly. We had such a fun trip and everyone was so happy to see Kasen. If you want to see more photos, click here (you don’t have to have a Facebook account to see the photos).